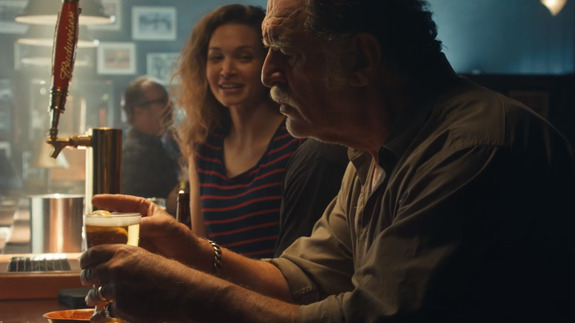 Budweiser mocks your pretentious craft beer in second Super Bowl commercial - trendistic.com: ever tried. ever failed. no matter. try again. fail again. fail better. Budweiser is trading its cute puppies for the tough-guy disdain for craft and imported beers that has become a hallmark of its advertising this Super Bowl. Now, instead of befriending puppies, the brand’s signature Clydesdale horses — which the commercial reminds you are “not ponies” — look fierce and powerful as they gallop at a full sprint.